The American Advertising Federation has recognized creative excellence in the art of advertising by awarding four silver Addy Awards and a Judges Choice Award to Belmont students Abraham Mast and Dominick Grande. Mast was recognized by the Judges Choice Award and a Silver Addy Award for his book design, “7 Principles of design,” and won two additional Silver Addy Awards for his “Happy Frogs” and “Exploring Bird” animations. 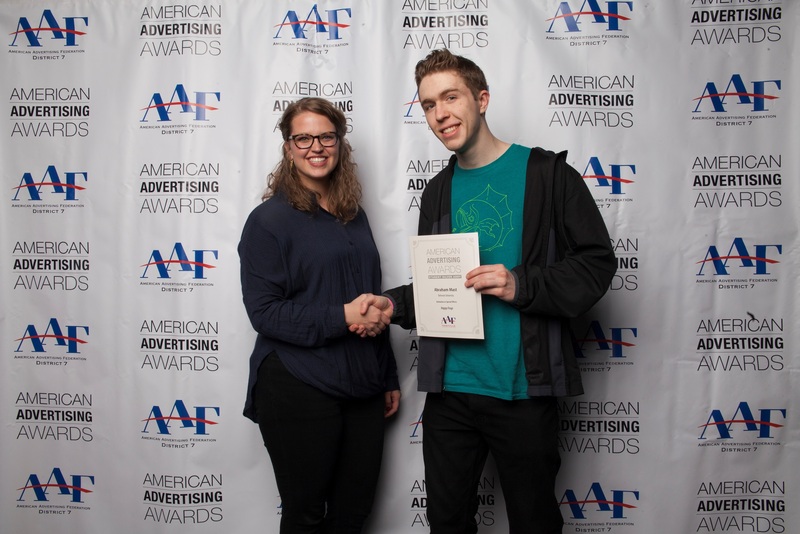 Conducted annually by the American Advertising Federation (AAF) and sponsored by National Ad2, the Nashville Student American Advertising Awards competition is the first stage in a three-tier contest. Nashville Gold and Silver winners will compete at the District level against winners from Alabama, Georgia, Louisiana, Mississippi and Tennessee. Winners from 15 AAF Districts advance to compete at the national level for National Student American Advertising Awards and a chance to win $1000 for the Student Best of Show.